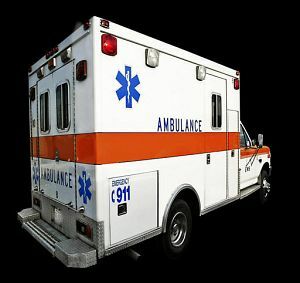 Spencer, Iowa — An Ocheyedan man was taken to a hospital after an accident in Spencer. The Spencer Police Department reports that about 12:50 p.m. on Tuesday, February 5, 2019, 20-year-old Cody Hout of Ocheyedan was driving a 2007 Volkswagon southbound on Grand Avenue near 18th Street. Sixty-nine-year-old Dennis Nagel of Milford was northbound on Grand in a 1999 Chevy. According to the report, Hout said he was attempting a left turn onto 18th. Nagel said Hout pulled in front of him and he was unable to stop. The report notes that the intersection was completely snow-covered at the time of the accident. The Spencer Ambulance took Hout to the Spencer Municipal Hospital. Hout’s Volkswagon sustained $5000 in damages, and Nagel’s Chevy sustained $1500 in damages. According to the report, no charges were filed. This entry was posted on Wednesday, February 6th, 2019 at 5:02 pm	and is filed under News. You can follow any responses to this entry through the RSS 2.0 feed. Both comments and pings are currently closed.